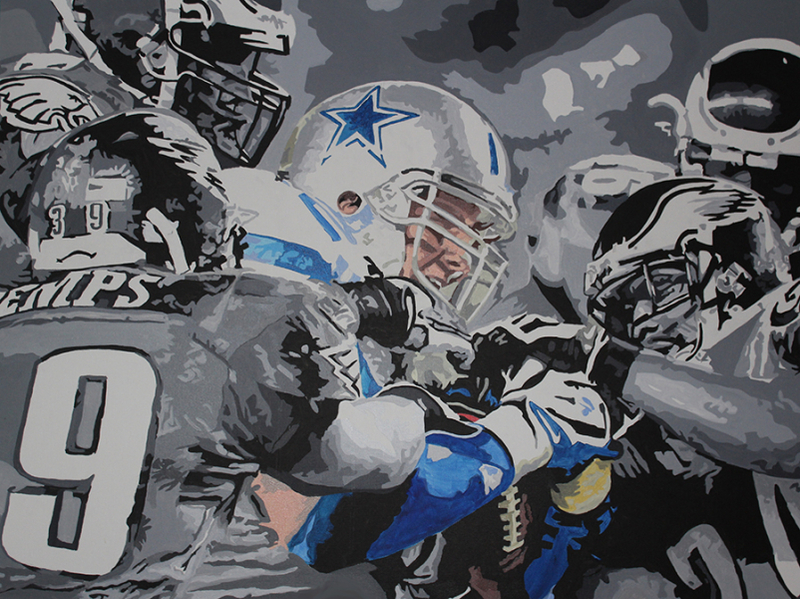 The Swarm is a totally unique NFL painting depicting a contest between the Dallas Cowboys and the Philadelphia Eagles, battling to get hold of the football. 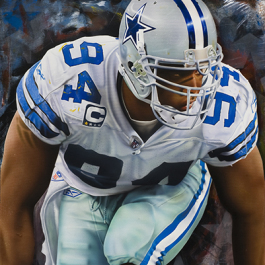 The beautiful effect of a black and white piece of NFL art with only the Cowboys blue and white making a difference, is a stunning example of the creativity and ingenuity of sports art and the artists who specialize in this genre. 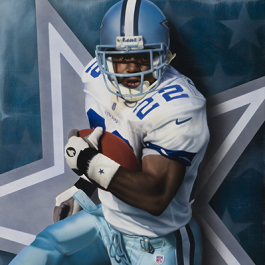 It’s exciting for all fans, and fantasy football fans will love it too. 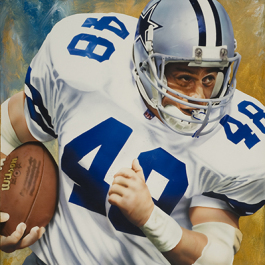 It belongs in any man cave or as a sports art collector’s favorite piece of NFL memorabilia. 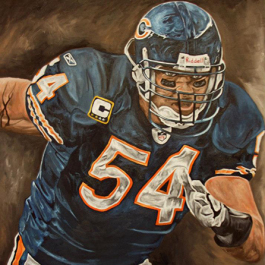 It is NFL football at its finest.